Rather a lot of reading, in fact, because August 9 was National Booklovers’ Day and we happen to have a few favorite bike books to share. It’s best if you just head straight for the library right now. 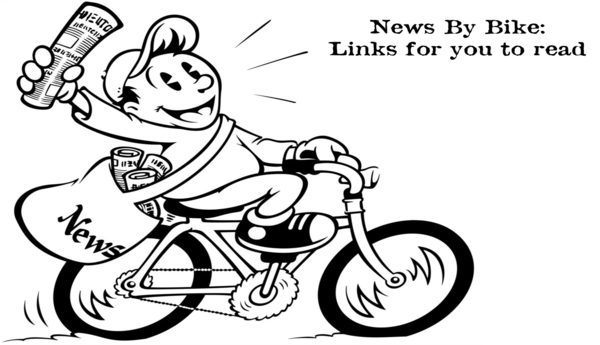 Sneak peek for #NewsByBike readers: our annual bike giveaway starts Monday! Be on the lookout for giveaway entry instructions first thing Monday morning. Hotter’n Hell Hundred is just two weeks away, if you can believe that, and we’ll be headed up to Wichita Falls for a fun weekend at the expo. 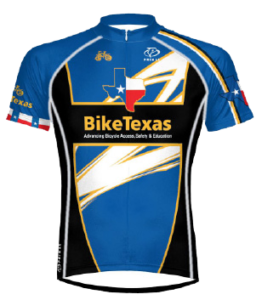 Stop by the BikeTexas booth and say hello! We’ll have our jerseys, t-shirts, and bike lights available for purchase. Back to School is coming, and our BikePedEd materials are perfect for your budding active transportation enthusiast, her teacher, and her whole school. 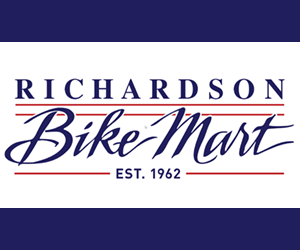 Find out more and ask your child’s school to check out our safe biking & walking materials. Our weekly Trails of Texas series continues this week with the San Antonio Mission Trail. Follow us on Facebook to see a different trail every Friday. Great news, Aggies: Texas A&M has installed bike desks in the libraries. You might need some tissues for this one. Kids with special needs learned to ride a bike for the first time at Bike Camp in San Antonio last week. The City of Lubbock celebrated new bike lanes on Broadway yesterday. The best Complete Streets policies of 2016 have been announced–alas, none of them are in Texas. Next year? London is gathering data on the best places to put new bikeways, but some are saying it’s time for less talk and more action. In the ongoing battle against bike theft, Portland is fighting back. Also in Portland, a bike share program for riders with disabilites has just launched–the first program of its kind. Interesting research from the UK about the health benefits of different commuting modes. Dockless bike share has launched in Manchester, England, but so far it’s had mixed results around the world.